CERTEX carries many types of industrial strength fiber ropes for all of your needs. From Sisal to Manila, Polyester to Nylon, CERTEX USA carries quality fiber rope. 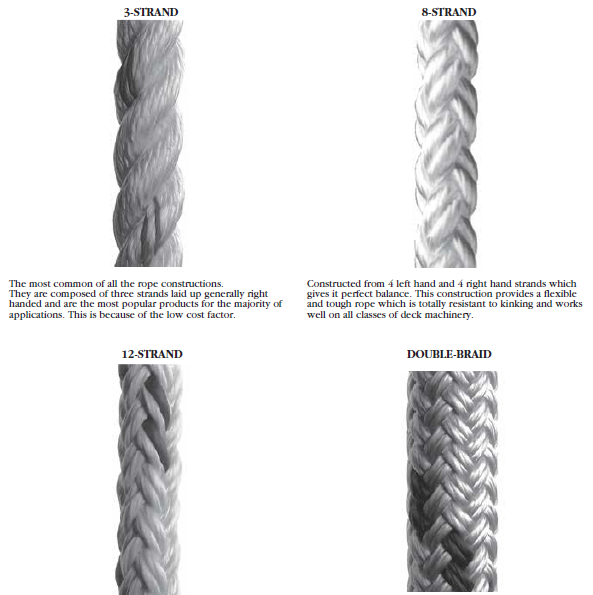 When trying to select a type of rope that will work for your job, make sure to consult the diagrams and download the specification PDF. Within the PDF, you’ll find general and rope safety information as well as listings of our marine and industrial products. Please also see the information on AmSteel®-Blue, a proven cost-saving replacement for wire rope in key applications where strength, weight and safety are important. AmSteel®-Blue is recognized worldwide as the standard for single braid HMPE ropes, and is easily spliced and inspected. These features, with the superior wear and tension fatigue of Dyneema® SK-75 fiber and Samthane coating, are combined in a torque-free 12-strand single braid design. The result is an industry leading braided synthetic rope that outlasts wire rope and has proven operator cost saving benefits. CERTEX believes in safety and high quality in consideration to all of our information and products that we offer. We set the standard for your safety!Download the full fiber rope specification below.